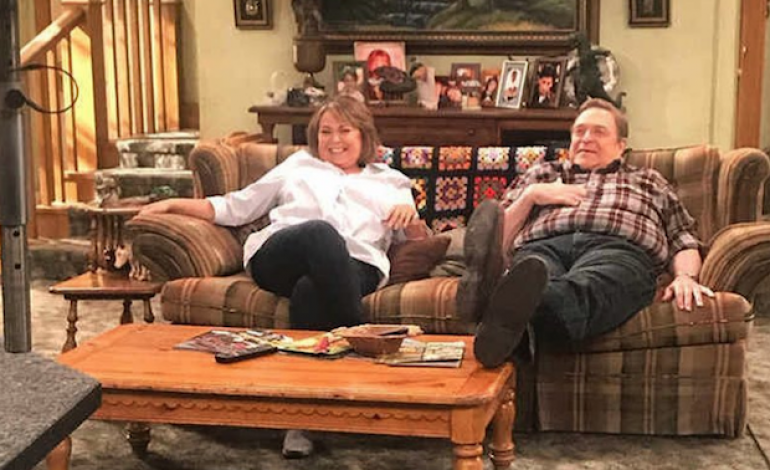 From the land of rebooting TV shows, officials at ABC have announced the revised Roseanne show has been extended by another episode before even airing its first show. According to TVLine, the studio has completed five episodes and the powers that be are thrilled with the results. With this addition, this first season (or 10th depending on how you look at it), will sport a cool 9 episodes. Roseanne is slated to return to ABC in early 2018 but no specific date has been announced. Cast members confirmed to return include Roseanne Barr, John Goodman, Laurie Metcalfe, Sara Gilbert and Michael Fishman. Sarah Chalke, replacement Becky in Season 6, returns but in a new role. Not signed on is Johnny Galecki since Big Bang Theory is likely keeping him busy on another network. New players in the Conner brood include Darlene and David’s daughter Harris (Shameless actress Emma Kenney) and her younger brother Mark (Ames McNamara). Roseanne Barr was famous for her “domestic goddess” stand-up kitsch which was used as the basis for her character. The show broke many stereotypical roles when it aired originally from 1988 through 1997. It more closely resembled the typical American family with its honest portrayal of the difficulties in real life as opposed to its fluffier competition. ABC’s announcement stated they felt the Conner family would fit the bill to “deal with the economic challenges of living pay check to pay check in 2018.” The reboot is being produced by Barr with help from on-screen daughter Sara Gilbert, comedienne Whitney Cummings, and sitcom dude Bruce Helford who was co-creator of The Drew Carey Show.